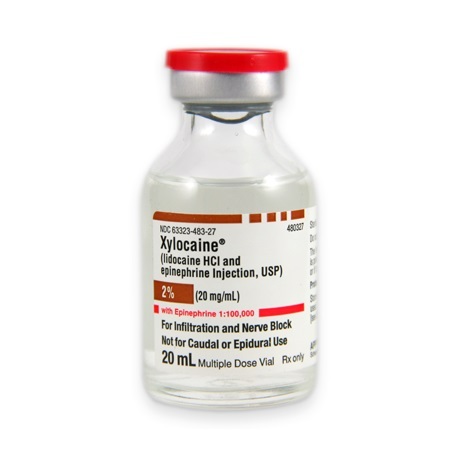 Injectable local anesthetic Xylocaine with Epinephrine 2% (1:100,000), in a 20mL multi dose vial. Generic drug name is Lidocaine HCl / Epinephrine. NDC: 63323-0483-27. Manufactured by Fresenius. Comes as singles.